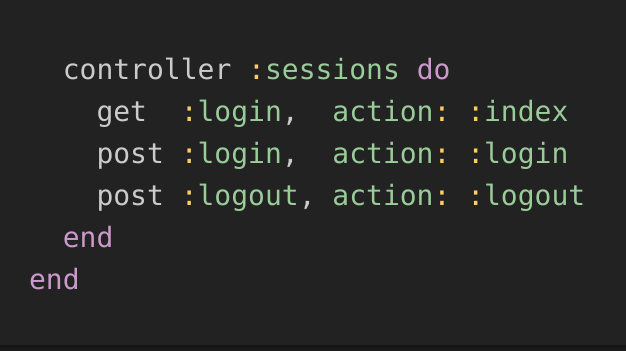 However, there’s a nifty little helper that’s not in the routing guide but is in the API docs called controller which feels a bit cleaner. After running rake routes or rails routes to see what routes we’ve got, we’ll see three routes. If there’s an even better way, let me know in the comments! The convention-over-configuration luxury is available here as well. You can skip having to specify the actions if they have the same name as the route.